Hey Android TV fans: have you checked out our review of the NVIDIA SHIELD? You should. We worked really hard on it, and it's kind of being blown away by all this Google I/O news. Two things that the SHIELD Android TV can do that the Nexus Player can't are accessing external storage via USB and broadcasting audio over Bluetooth (with the extra remote). But if you flash the Android M developer preview to your Nexus Player, you can access both of those things! Neat! 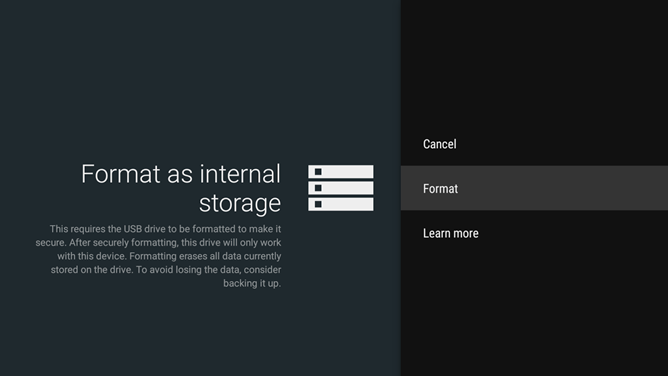 The Android M build of Android TV will support using external drives for app and app data storage (which the SHIELD also does, by the way) with a formatting option. This is a semi-permanent way to expand your device's "internal" storage capacity. It's optional, but without it you'll only be able to use the drive for storing and accessing files (like that collection of 1080p Firefly episodes you downloaded in college and "forgot" to delete). Android TV devices will also gain access to Bluetooth A2DP streaming, the standard for stereo headphones and speakers. 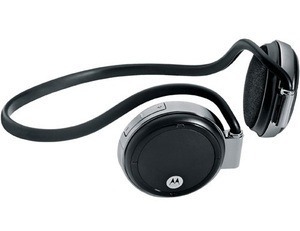 According to Google employee Sascha Prüter (the source for this information and the screenshot you see here), the Nexus Player and other Android TV devices will be capable of streaming audio to Bluetooth devices, but not acting as a Bluetooth endpoint for media on other devices like your phone. For that, you'll still need to Cast content or find some other solution. This should be a big help for people in shared living spaces - you can watch Archer at full blast on your headphones while your dorm-mate studies ten feet away.